Look at all those ends!! 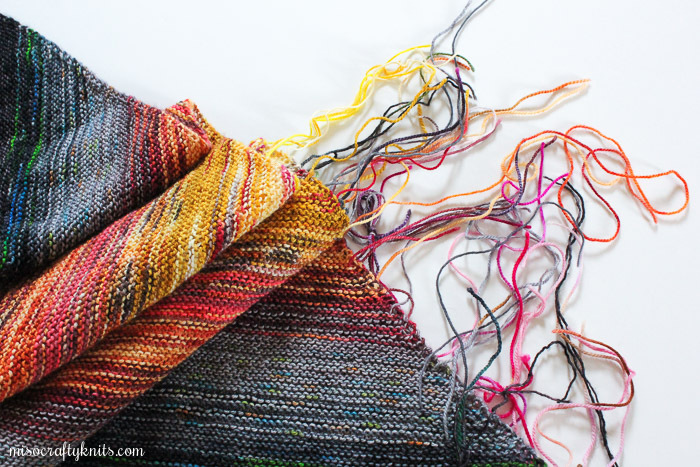 Last weekend I took advantage of Craftsy's free, All-You-Can-Watch Weekend and decided to check out the class, The Essential Guide to Finishing Handknits with Anne Hanson. Even though I've been knitting for over 10 years and, according to Ravelry, have knit over 250 items, I'm still not that confident in some of my finishing techniques. 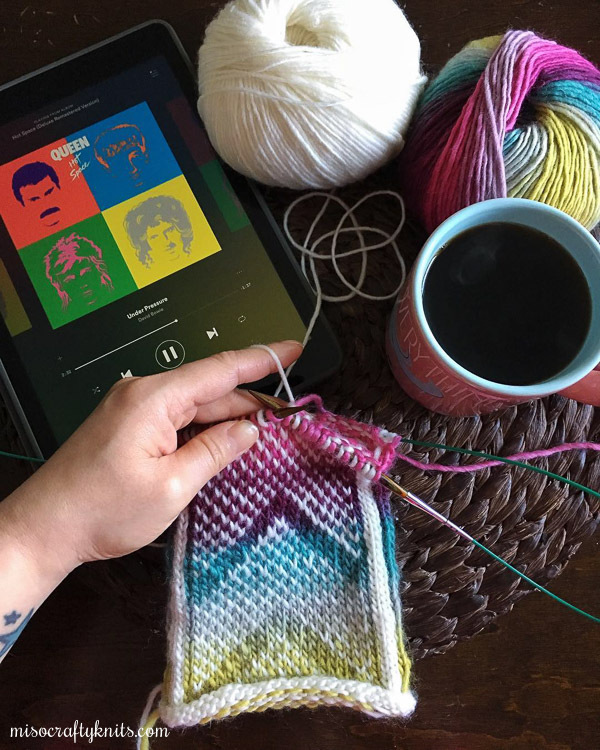 I'm a firm believer that in knitting there are several ways to do something and that for a lot of things there's really no "right" or "wrong" way, as long as you achieve what you were after and that in the end, it looks nice to you. Still, I always felt uncertain about my techniques. Probably because I'm a self-taught knitter. 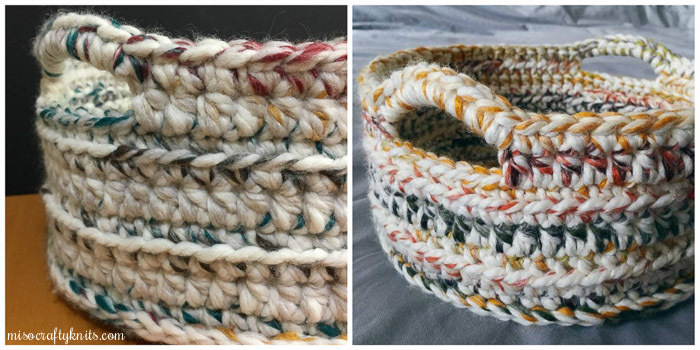 In the past, I've read books and online tutorials and I've watched YouTube videos and even fellow knitters at knit nights on how they accomplish various finishing techniques. 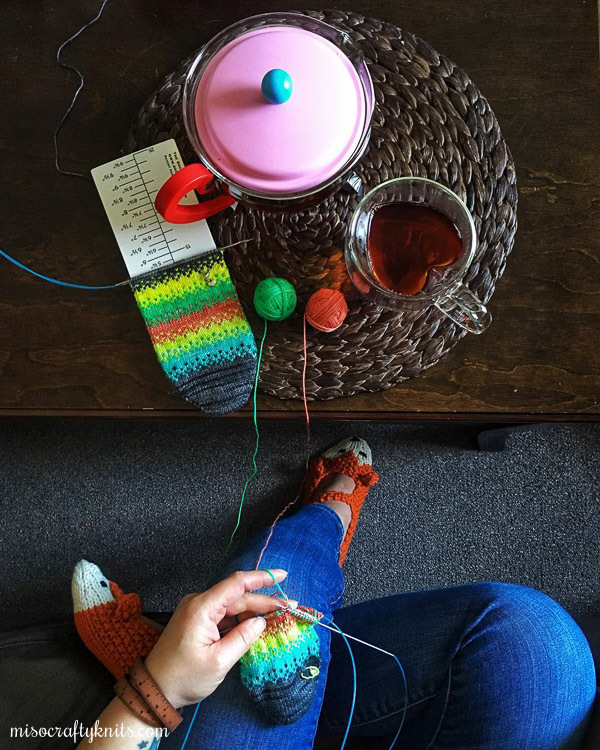 I've always been tempted to take finishing classes when they're offered at knitting events like Knit City and Vogue Knitting Live, but usually get lured away with the promises of yarn shopping or meet-ups with friends from out of town. So when I learned about the All-You-Can-Watch Weekend you can bet that I was going to make sure I took one of the finishing classes that they offered! And let me tell you, I'm SO glad I took advantage of the opportunity!! The second the class ended I had gained this newfound confidence. 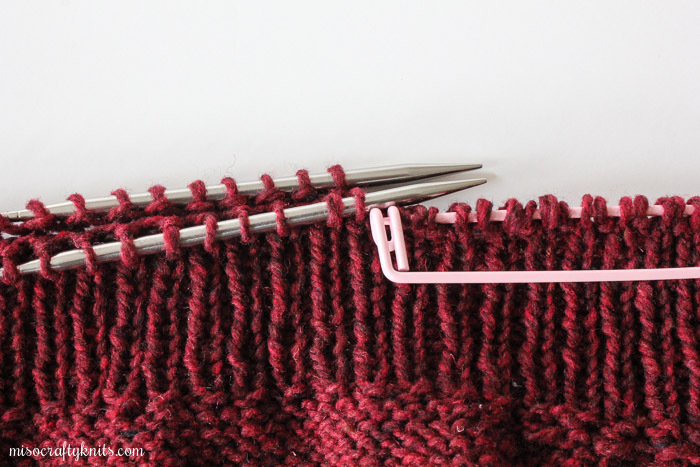 I wanted to cast on immediately a project that involved seaming. I wanted to cast on a project that involved sewing in a zipper. I wanted to sew grosgrain ribbon to the back of every button band on every cardigan I had ever knitted. I felt like there was nothing I couldn't do knitting-wise! I'm excited to be adding a handful of knits (mostly shawls) to my spring wardrobe rotation. I just hope my family doesn't mind the constant smell of wet wool in the living room for the next week or two! In my last post, I mentioned that I had cast on a new project as a reward for enduring a week of sickness. 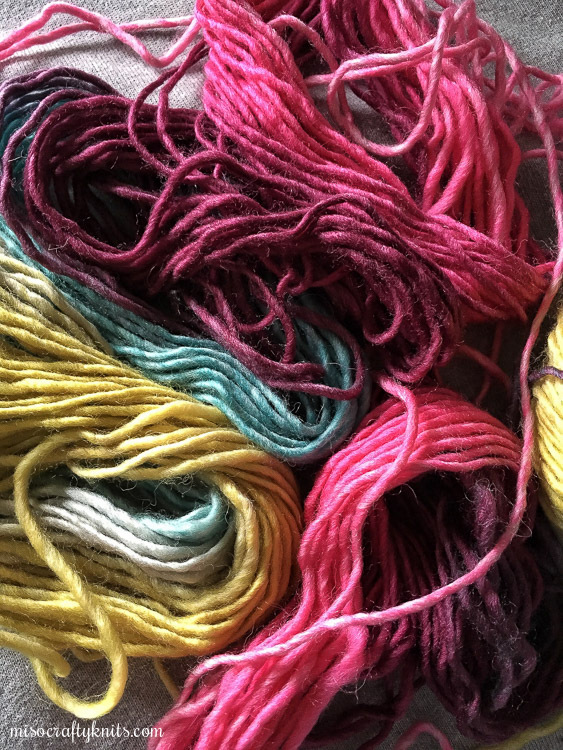 At the time I didn't want to say what that new project was as I felt like I was going through a weird phase in my knitting where everything I touched turned to crap. The last thing I needed was to get my hopes up (again) about a design I really love and can't wait to wear, just to have the knit fall flat (again! ), me feeling utterly defeated, and my knitting mojo go out the window. I felt desperate and just needed a knit to go right for me, so I picked out a pattern that looked really easy and simple and just so happened to have the yarn called for in the pattern in my stash...AND it just so happened to be a worsted weight yarn. 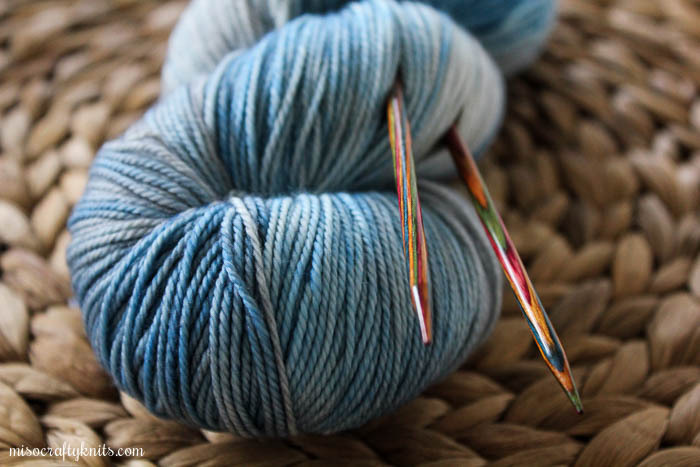 The bigger the yarn, the quicker the knit. Right? I wanted to cast on the new project as fast as I could that I didn't even bother to dig out my swift and ball winder from my closet. Instead, I quickly wound half the yarn into a ball by hand before I got overly impatient and decided to just cast on enough stitches for a swatch. That's how determined I am to get my knitting groove back. 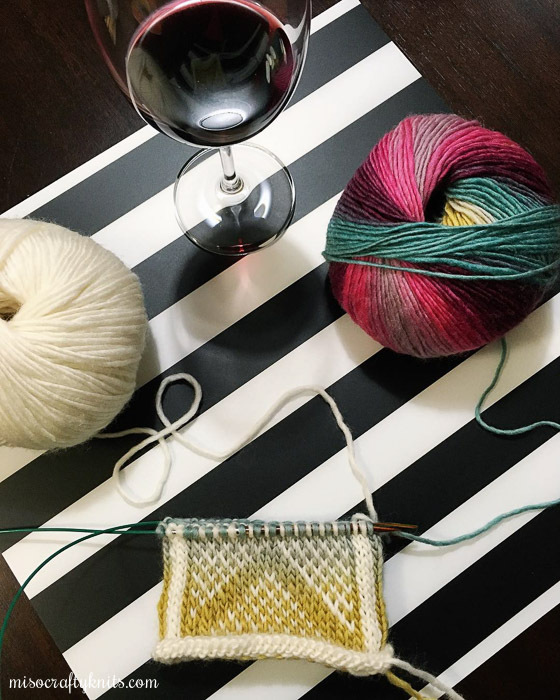 Usually, my gauge is predictable and if I'm using a yarn that I've knit with several times before, I can generally forego a swatch and dive right into a new knit. But lately, my gauge has been all over the place and its the main reason why I'm having so many issues with my current projects. I managed to get gauge on the first try with the recommended needle size and so before I could lose that momentum I quickly cast on my new project. I quickly cast on The Weekender pullover by Andrea Mowry. I'm using the recommended yarn, Brooklyn Tweed's Shelter, which also turned out to be a two-fer for me as I had made it a goal this year to knit something out of my Brooklyn Tweed stash. After my disastrous venture with the Loft base a few years ago, where the yarn had snapped a few times while winding it and then snapped a few times more while trying to knit a cable, I had all but given up on knitting with any Brooklyn Tweed yarn. My Brooklyn Tweed stash ended up just languishing in my stash, taunting me every time I had to dig through the bins looking for a yarn for my next project. Since I'm forever in a stage of purging, back in December I decided that I must give Brooklyn Tweed one more try and from there decide if I should keep the rest of my BT yarns or if I need to destash the rest and free up some prime stash real estate. So how's it been going so far? I'd say, good. It's been a little over a week and already I've knit up the body, the front, and I'm halfway through the back. I don't think the sleeves will be that painful to whip up, seeing that I have short, T-Rex arms! The pattern has been super easy thus far and a really soothing, relaxing knit to boot. I think because the body is a straight up tube of knitting in the round. 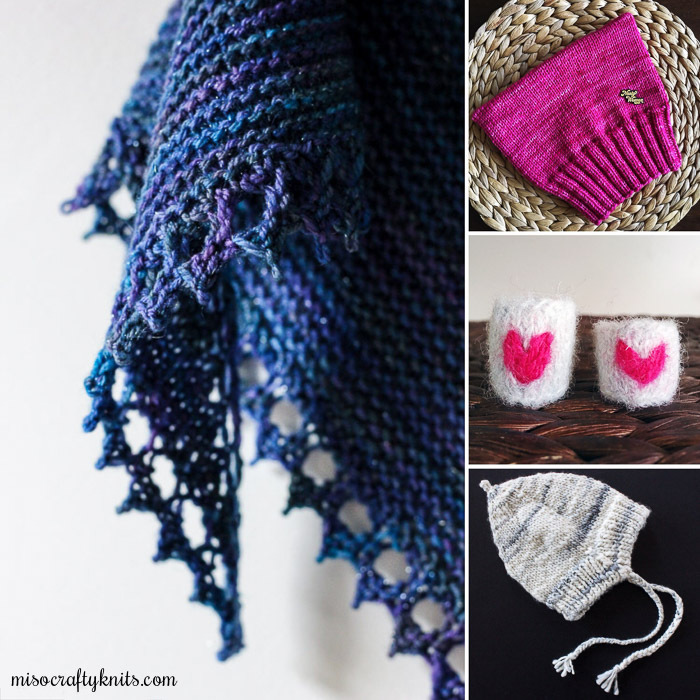 So mindless, so wonderful for when all you want to do is knit, knit, knit. Perfect for when I binged Bob's Burgers with the Mister when it was his turn to be sick last week and for when I had met up with friends for an afternoon of beer, knitting, and catching up. Even the tubular cast-on and bind-off at the hem and neck were easy peasy and a nice break from the monotony of knitting stockinette in the round. 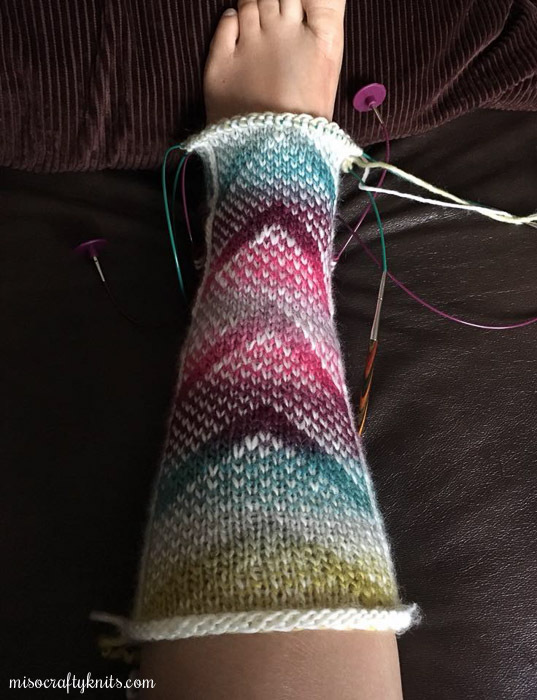 I've never done a tubular bind-off before and was pleasantly surprised to discover just how easy it was to pull off and not at all as complicated or overwhelming as I had originally thought it would be. Must be all those cuff-down socks I've knit in the past and having to graft the toes! As for the yarn, well it hasn't snapped in half on me yet (phew!) and I love the fact that I can spit splice when joining a new skein (YAY for not having a million ends to weave in!!). My only issue is the amount of dust (mainly the super short fibres and dye debris) and vegetable matter (VM) that settle everywhere I knit. And you can tell where I've knit by the faint red layer of dust that I leave behind. A few days ago I even got a splinter on the side of my finger as the working yarn slid across my pointer finger! I'm now really interested in seeing how this yarn will wash and block. I don't want to overdo it on the knitting and have another flair-up with my hand, but I have such a great knitting momentum going that I don't want to stop. I'm hoping to finish this pullover before the week is over and since I don't have that many ends to weave in I just may actually block this project and get to wear it in a timely manner!! Shocking, I know!! My M.O. seems to be: go crazy for a pattern, knit it up in an obsessive frenzy, get turned off by all the ends and finishing work that has to be done, lose interest and forget, get distracted by shiny new project, come around years later and then block the darn thing. *Ok, fine. You know me well. I'm hoping I'll do the finishings, block, and be able to wear this pullover immediately after binding off the last stitch. Hoping. Cross your fingers for me! Can you believe that we have less than a week of February left? Where has the time gone? Well, I can tell you where last week went - straight down the toilet while the Kiddo and I were bedridden sick for a full week with the most horrendous flu I have ever experienced or seen. I was so sick that I didn't even want to knit!! Even now, barely a week later, while I'm feeling MUCH better, I'm still not feeling 100% and so I'm slowly getting back into knitting. ➳ I've decided to cast on something new, sort of like a prize for enduring that week of sickness. 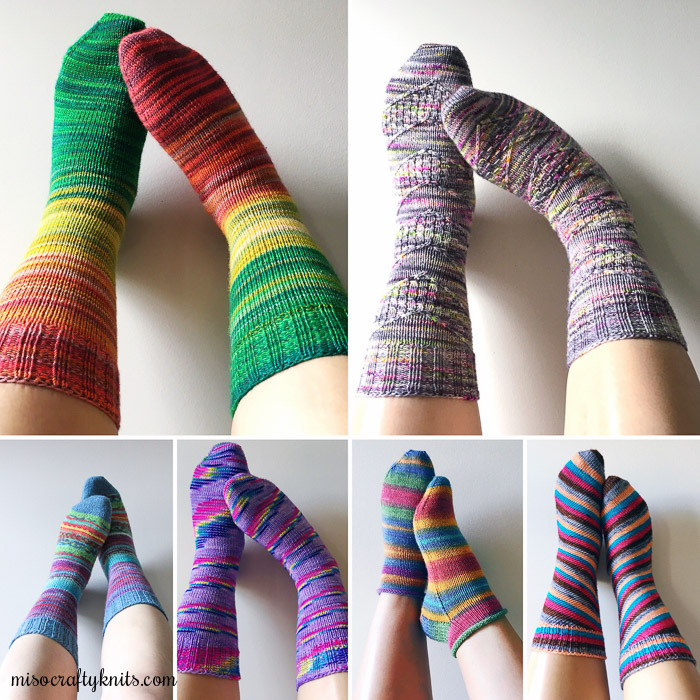 And because we're currently going through quite the cold snap, I want to knit all the super warm woollies...and socks just don't cut it. ➳ I don't want to say what I've cast on just yet, simply because I might rip it out in a day or two. That seems to be the thing that just happens as of late. Ever go through the phase where everything you touch turns to crap? Yeah, that's me right now. 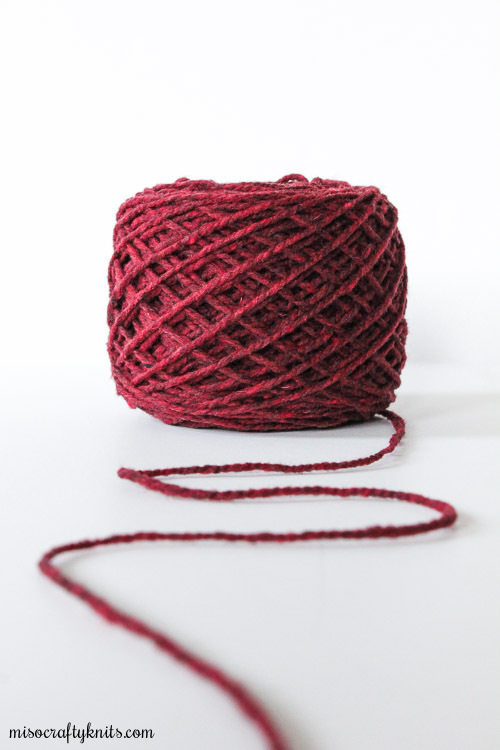 ➳ I will tell you though, that I'm knitting with Brooklyn Tweed Shelter in this new project. I had made it a goal this year to knit something using my BT stash. I'm giving this yarn one more chance and if I'm still not a fan that I really need to destash the rest. Before I get hate mail for my lukewarm feelings about Brooklyn Tweed: I'm such a tight knitter that I find any woollen-spun yarn is too delicate for me. ➳ Last month I bought a set of Addi FlexiFlips - the newest DPNs on the North American market from Addi (they're known as "addiCraSyTrio" in Europe). They have the flexibility and bendiness of a circular needle with a combo of a basic tip and a Rocket tip on each needle, all in the form of slightly longer than normal DPNs. 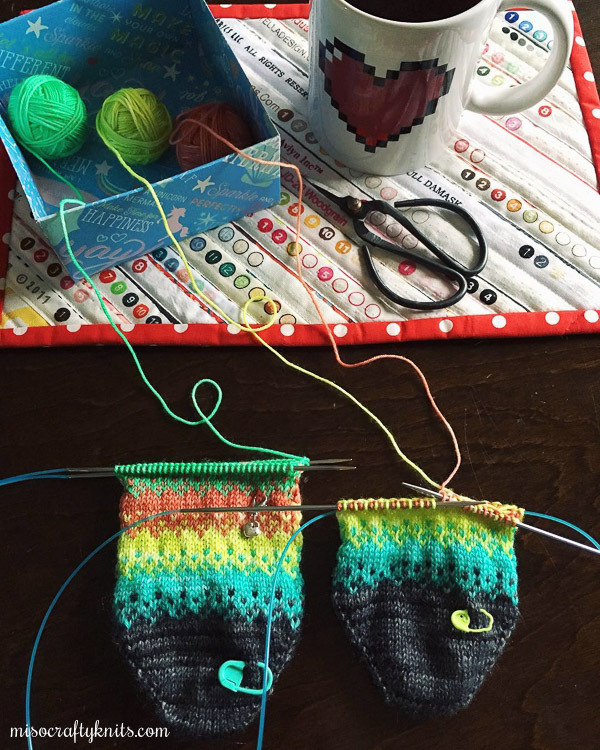 ➳ To fully test out these new needles, I decided that it was a must that I cast on a new pair of plain vanilla socks. So I did. 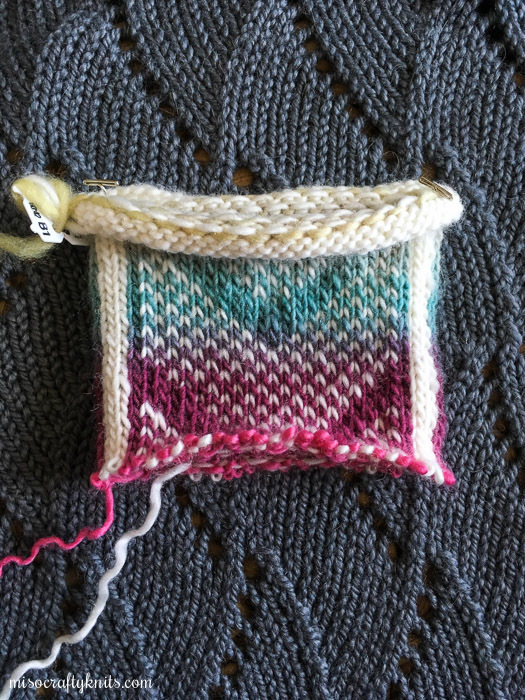 I grabbed some self-striping yarn from the Box of Sock Yarn (the yarn is conveniently pink...you know, it being February and all) and currently have half a sock. 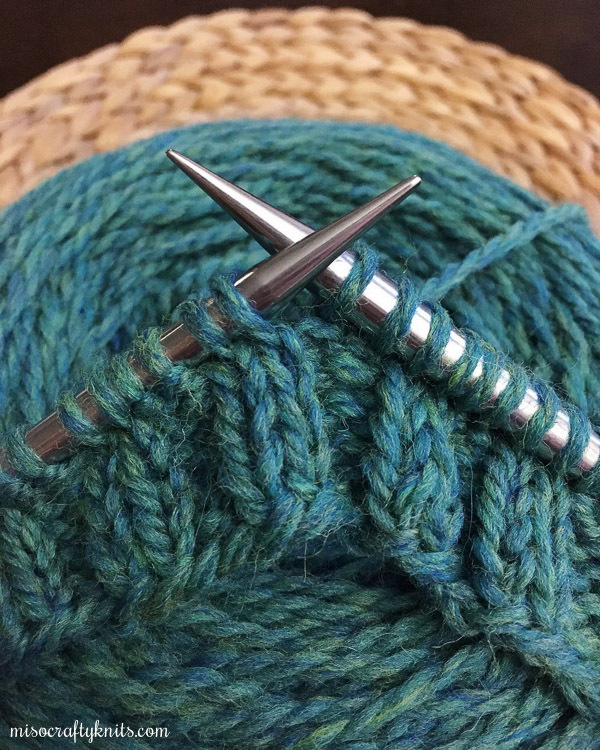 The needles haven't fixed my laddering problems and I've had to adjust how I knit just a smidge in order to find a comfortable position, but overall I am enjoying knitting with them. But we'll see how I truly feel once I get to the heel...when I finally decide what kind of heel to knit, that is. ➳ I still have Pixel Rise on the needles. There's no update on these as I haven't touched them in a long while simply because I was really into knitting up my other projects. But in the back of my head, I think I stopped working on them so that I could sort out my tension issues of knitting with yarn in both hands. ➳ I was hoping to get an old WIP off the needles (one of my Breathing Space pullovers) but quickly discovered that I was not only running out of yarn (the main colour) but I also didn't have another skein in the stash. I'm totally perplexed as to why I would use a colour that I only had one skein of, knowing that I would most likely need more than that?? What was I thinking?? So now I need to order more...but I'm sort of putting it off cause a part of me wants to order more than just the skein I need in order to make the shipping worth it. You know how it goes...right? Well, I think that's that. Until next time, Happy knitting! !